The quality of your curriculum vitae assures you of your job. if you have a low profile CV then you cannot hope for a good job. If you want to add extra value to your CV then you must add PRINCE2 in your CV. PRINCE2 is the training course provider that enhances your skill in the project management. Adding this to your resume can add a higher value to your life. This helps in opening wider doors of opportunities. This can give you the chance to explore a broader professional world in world of job and competition. Now you may ask the question that, how can PRINCE2 Certification help you in getting a job? Well the answer to this question is not that hard. It is basically a training process to improve the organizational and leadership abilities. It gives you the ability to improve project management and managerial qualities. Management method is the prerequisite for many jobs. If you have PRINCE2 in your CV then you are guaranteed of getting good opportunity. If you are looking for a job then this will definitely help you to get what you want. There are various other trainings provided to the learners, which can help in getting bigger jobs. With PRINCE2, you can entre in the bigger world of profession by taking slow steps. If you are taking first step into the professional world then you can start as junior and trainee project manager. There are various graduate internships available for you too. You can take these small steps, which will lead you to the bigger scenario. Other than this, you can also opt for various project support roles. Project support roles require various IT skills and at least several months of practical skills. PRINCE2 can give you the chance to explore these areas of professional world too. While you are moving up in the professional world, you can opt for various positions like project planner and project analyst. You can go for such profession if you are experienced in the field. Usually these posts in life require an in-depth knowledge to be specific and practical application. With PRINCE2, you can also play the role of a project manager. The basic role of a project planner is to coordinate set resources like people, money and material. This is very important for delivering the specified products to the customers. Once you get to these posts the salary will not be a issue anymore. You can definitely get high payment for your services. Therefore, PRINCE2 is not exactly a job placement for you rather it is a skill development program that gives you the right skill for applying better jobs in future. You can plan and manage the business efficiently with this technology. Hence adding this in your CV can surely guarantee you of a safe future because it gives you a global acceptance. Companies search for it to get assure about the skill of the employee. It is a promise of a bright future. Skillogic Knowledge Solutions is providing PRINCE2 Certification Training in Bangalore, Trivandrum, Coimbatore, Delhi, Chennai, Pune, and Hyderabad. 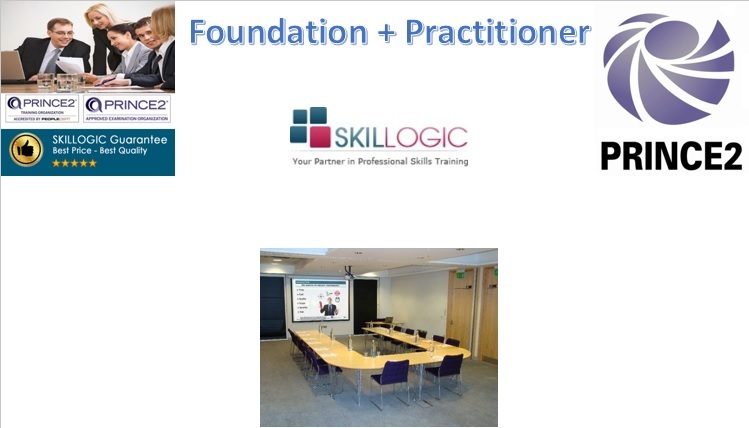 Sign-up with Skillogic and become Certified PRINCE2.